The sparkler exit at the end of the night is an exciting way to cap off a great celebration. Not only does it get the guests involved (and pumped to be playing with flames), it offers some fun photography possibilities. This is the kind of photo that will be one of the final spreads in your wedding album. It's also a good time for the couple. 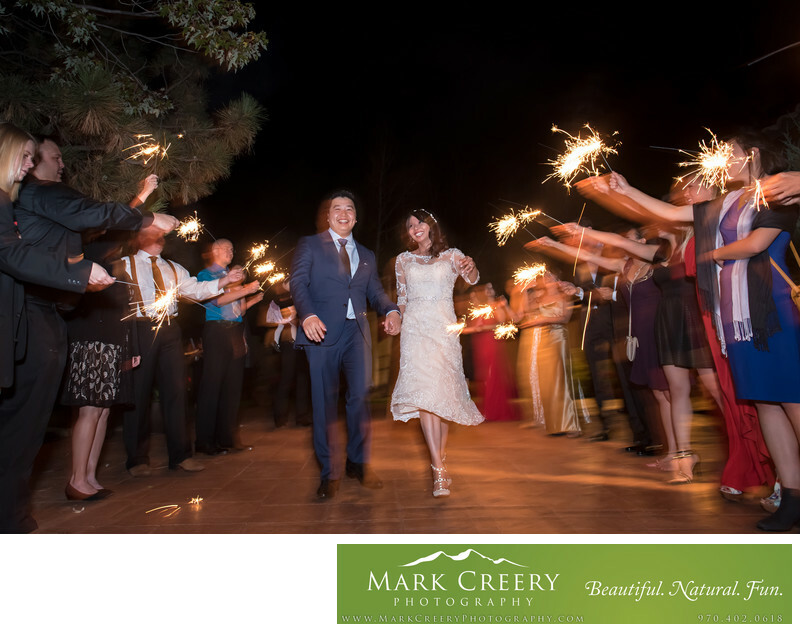 I like to have the guests form more of a V-shape so that the sparklers are spread out across the photo, so it's not just a straight line of sparkles. You just need to make sure there is enough space for the couple to make it through without getting burned! If there is time I get the bride and groom to run through the gauntlet one more time before the sparklers extinguish. It just gives a few more options, which is nice to have with all the effort that goes into making the shot work. Villa Parker has a nice open area with no fire hazards (another consideration in the dry climate we live in here!). So give sparklers a try! Villa Parker is located in Parker, Colorado. Contact: Amanda Vander Vegt, cell (720) 587-7014, office (303) 805-2295, amanda@villaparker.com. Location: 10750 Pine Dr, Parker, CO 80138.